How Long Will The NordicTrack SE7i Last? We have all either been those people or seen those people with an Ikea dresser. It is affordable, easy to assemble, and even offers that tiny Oompah Loompa feel that seems to be so popular. But in all reality, the amount of quality that went into the dresser is not likely to last more than a few slumber parties and spilt cups of coffee. The bright side is that you only spend a little bit of money on it. Likewise, the price tag attached to the SE7i already knocks down the amount of quality that it is built with. Top that off with a light build and subpar components and you have an elliptical that may last a few years before it starts to wear down. For someone looking for a beginner elliptical for light use on a weekly basis, the SE7i is likely to last a reasonable time frame. But we would not recommend an elliptical with such little quality for someone who works out daily. Many of the ellipticals in this price range are able to be affordable since they are not made with modernized technology. Since they lack the technology, the quality of build and additional features become the aspects that separate the winners from the losers. Unfortunately, NordicTrack's SE7i is slightly lacking in build and overall quality. While we do like the incline ability and workout programs amount, we are not as pleased with the overall build of the elliptical. Accordingly, we have granted the SE7i our Third Place spot among the 2019 Best Buys in the $700 to $999-dollar range. Before we begin the critique, maybe we should highlight the good parts of the SE7i. NordicTrack has found a way to add an automated, eight-degree incline. This feature allows the user to increase the intensity of their workout without having to stop in order to adjust the incline. Also, NordicTrack did not compromise the number of resistance levels despite the presence of this incline ability. We also like the number of built-in workout programs that NordicTrack included. NordicTrack is one of the brands that is known for their programming features. While the SE7i does not have the most out of this price range, twenty-four built-in workouts offer a decent amount of variety. Now on to the features that we are not as pleased with. If the SE7i were a teenage boy, it would be that skinny, lanky kid that ducks to get in the door but has no athletic ability whatsoever. This elliptical has one of the biggest footprints out of the ellipticals in this price range. A cumbersome build, however, would be fine if the elliptical was a heavy working machine. But, unfortunately, the SE7i is very light with the lowest flywheel weight relative to the other ellipticals in this price range. And to top it all off, the SE7i's maximum stride length is only eighteen inches. The one bright side that comes with the bulkiness, however, is the fact that NordicTrack used a rear drive system. Though this design extends the length of the elliptical, we have found that the rear drive can be a bit sturdier than front drive systems as the weight is more evenly dispersed. While we do not think that the quality will last very long, it may be a little comforting to know that the drive system will more than likely offer a bit more stability. In an effort to compensate for the large footprint, NordicTrack made the SE7i a foldable elliptical. We usually caution users from purchasing folding machines as they offer a weak spot in the integrity of the frame. Since the SE7i does not have the heaviest build and subpar quality components, the folding frame may offer some issues in the long run. With that said, NordicTrack has offered a decent two-year-parts and one-year labor warranty. While this is not the best warranty in this price range, it does show that NordicTrack has added a standard amount of value to the SE7i. We have yet to review the SE7i. 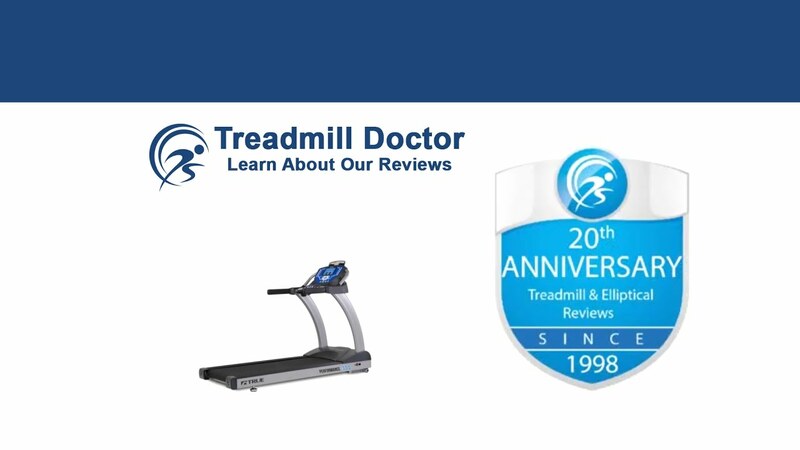 We encourage you to look into our other NordicTrack reviews as well as the other elliptical reviews in this price range, though, as it may help your search for the right elliptical. Our Third Place 2019 Best Buy for the $700 to $999 dollar range has proved to be an okay elliptical with not many special features. We do like the incline ability, decent warranty, and amount of workout programs. Still, we cannot ignore the fact that NordicTrack only put in an average amount of quality in the SE7i's build. Simply put, there are better quality ellipticals in this price range with the same features or even better features. But, if your heart is set on this particular model, then you should be able to use the SE7i for a few good years with light, weekly use.